Cheerful Old Friends Having Fun With Smartphone And Drinking.. Stock Photo, Picture And Royalty Free Image. Image 53766592. 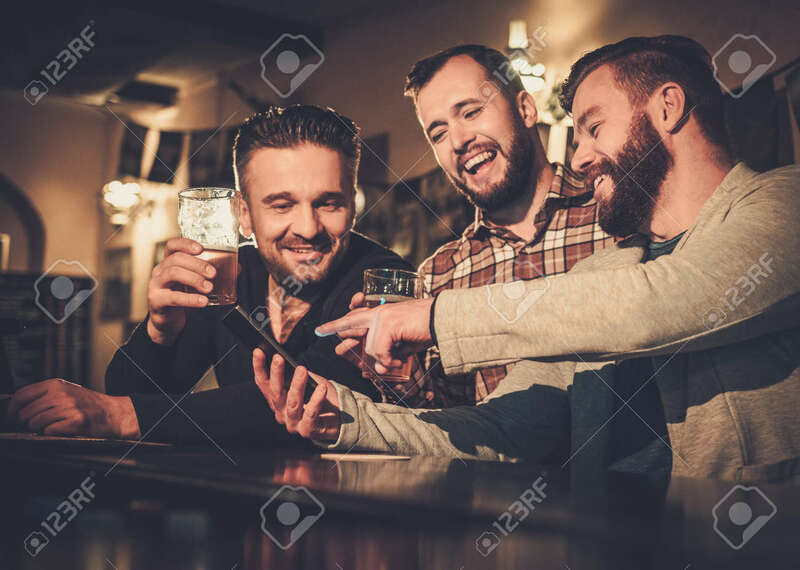 Stock Photo - Cheerful old friends having fun with smartphone and drinking draft beer at bar counter in pub. Cheerful old friends having fun with smartphone and drinking draft beer at bar counter in pub.